With each of her projects the product of long-term observation, Jane Tsong’s work invites her viewers to pause and contemplate the “myriad small things” that make up quotidian experience. Wind patterns, water networks, an often-travelled path; these have been some of the objects of her focus. With Comfy City Tsong provides places – perches perhaps – from which to contemplate. Carved from in situ tree stumps, the chairs of Comfy City offer the possibility of rest, reflection and – especially when they swivel – fun. 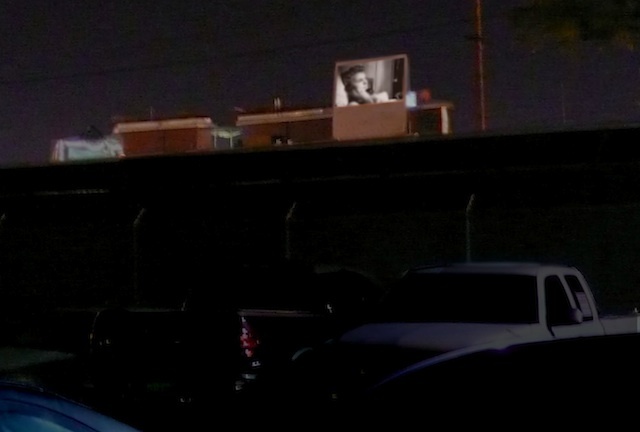 In a city where most walls are too high, low, narrow or studded to accommodate a human backside, and where sitting on the sidewalk is a ticketable offence, their gift of physical comfort turns them into quietly radical objects. Visitors are invited to donate cuttings from their favorite pelargoniums, which will be displayed with their stories, while they grow roots at La Casa del Tuñel. After the show, the rooted plants will continue to grow to full size in planters around the Casa, include a planter carved from a small tree stump in the front of the art center. Visitors can then take cuttings from the pelargoniums they like best, passing on these plants and their stories. 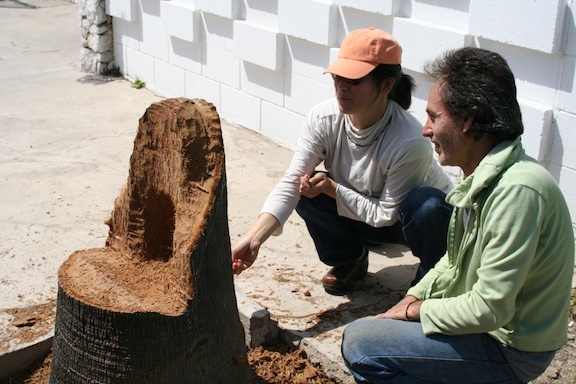 PPS Performative: Tijuana, Colonaia Federal, on Saturday March 20th Miguel Holek collaborated with Jane Tsong to transform a tree stump located on the side walk two houses to the west of La Casa del Tunel into a comfortable seat. 1: Jane Tsong’s website. 2: ibid.